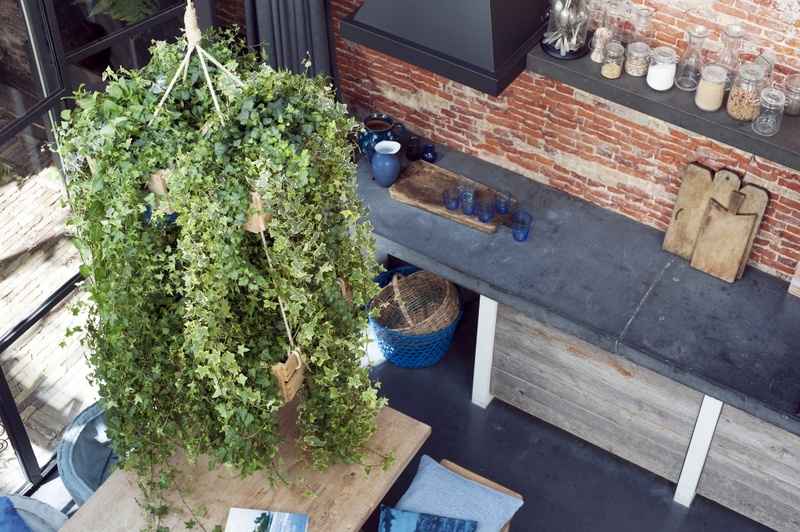 In the fourth month of the year the Ivy or Hedera is the Houseplant of the month. Would you like to promote this houseplant on your shop floor? Underneath, you can download free POS material for the Houseplant of the month. The Ivy is an evergreen, woody climbing plant. The plant is family of the Araliaceae, which Dizygotheca, Fatsia and Schefflera also belong to. 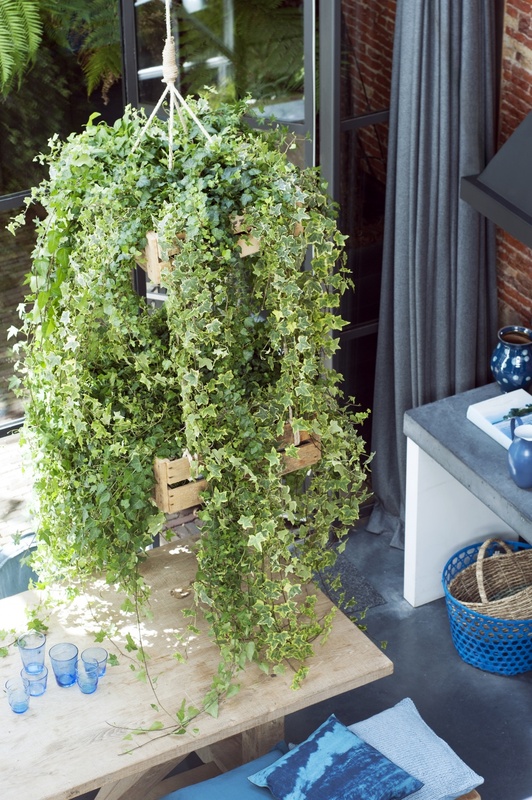 Everyone knows the Hedera helix, both as houseplant as well as garden plant. Something good to tell your clients: the Ivy is one of the most air purifying houseplants. The plant absorbs harmful substances out of the air and exchanges them for pure oxygen. 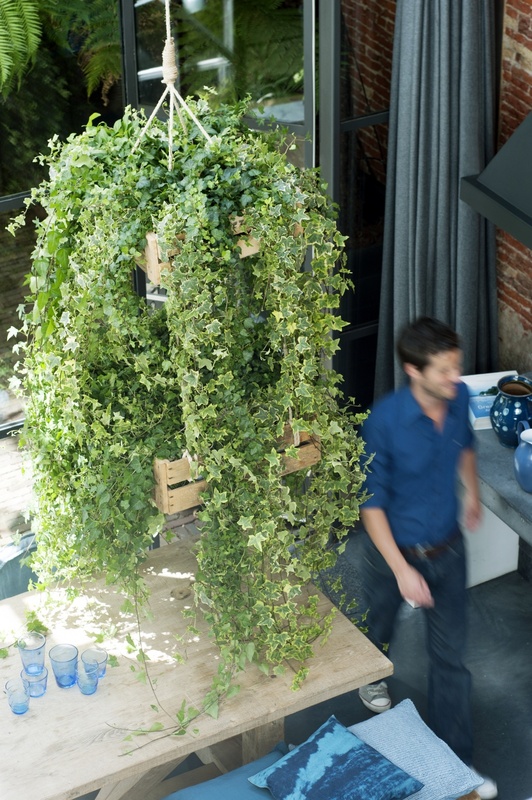 In this way the Ivy improves the living and work environments for people and pets. The plant is also not difficult to look after, a real easy care product. The Ivy is actually a European outdoor plant which also does well indoors. There are a number of beautiful cultivars of the houseplant variety, with lovely leaf shapes, colours and sizes. 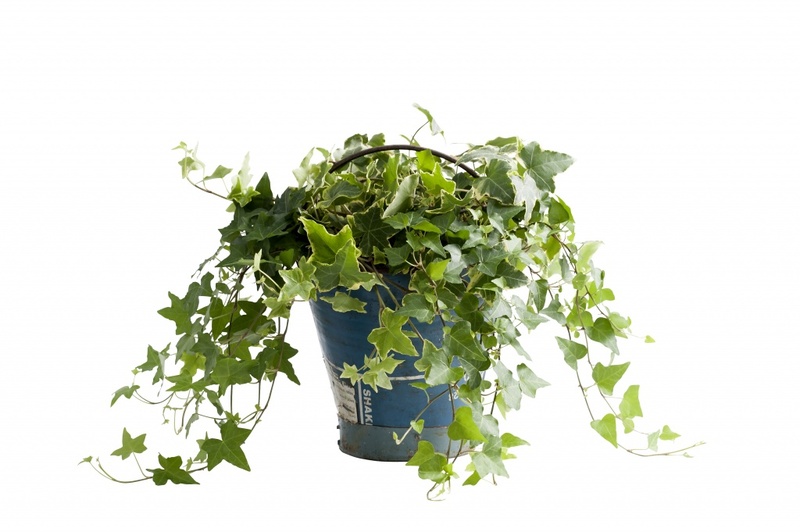 The Ivy is mostly available as a hanging plant, but the plant is grown in a variety of forms. Naturally it is often found in forests as ground cover and grows on tree trunks and along walls, attaching itself with its aerial roots. In exceptional cases it can grow to 25 or 30m high. 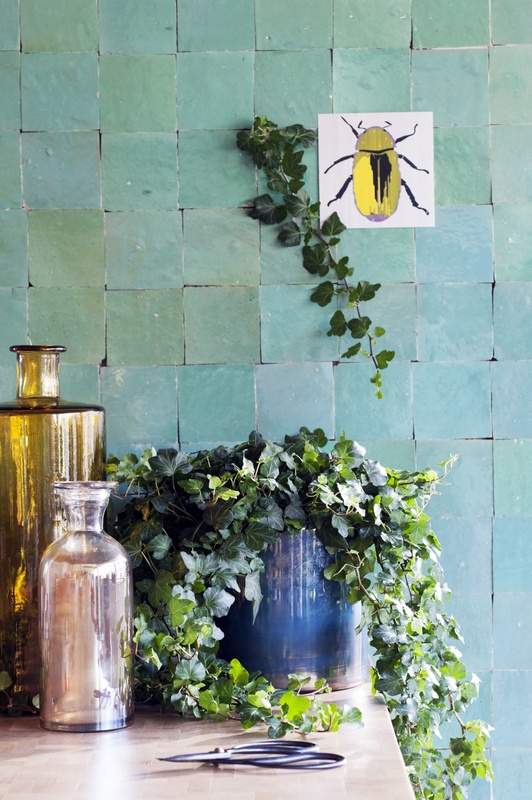 What should you look out for when buying Ivy? • Pot size and plant shape. 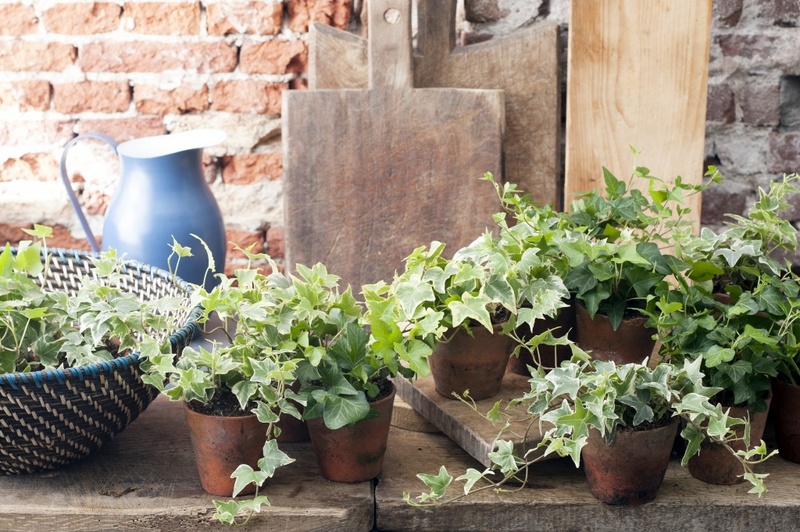 When purchasing Ivy it is important to check the pot size, leaf colour and shape, the number of branches/ thickness of the plant, the length of the branches and the growth habit; whether the plant is compact or loose. • Health. 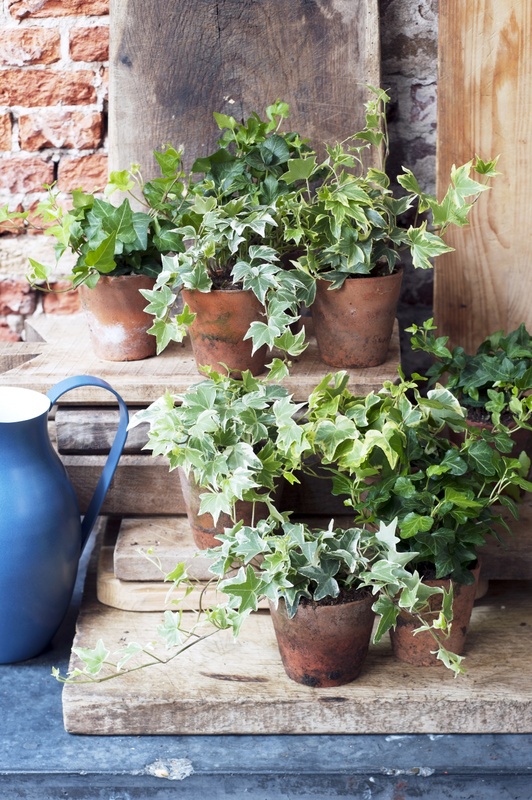 When purchasing Ivy it is important that the plant doesn’t have any pests or diseases. Whenever the branches or the leaves are damaged, this is often through transportation or storage. Sometimes the leaves have brown, yellow or dried out leaves. • Infestations. Ivy is sensitive to spider mite, which can be recognized by a faded grey discolouration on the leaves. Other animal or plant infestations are hardly found during the supply stage. Hedera helix is the common type of Ivy and is available in many different cultivars. These differ mainly in leaf colour and shape. The variegated leaves can be green, white or gold coloured and the shape is determined by the serrations and the structure of the leaves. A classic Ivy is H. canariensis ‘Gloire de Marengo’, a real beauty with its large leaves and creamy white leaf edges. The plant likes a light, cool position and not in full sun. A handy tip: the lighter the leaf colour, the more light it needs, the darker, the less light it requires. 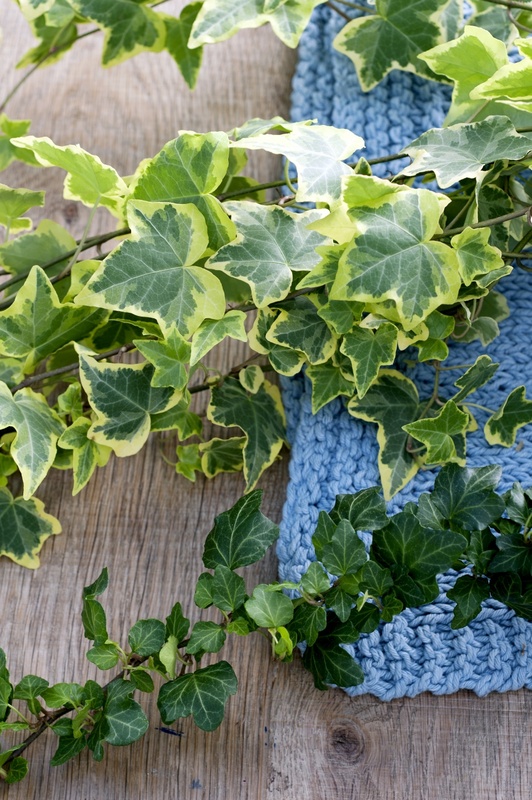 Give the Ivy regular water and an occasional spray of lukewarm water. You could also recommend giving plant food. Remove old leaves now and again and occasional pruning is advisable. The Ivy doesn’t like dry air and this can easily cause an outbreak of spider mite. You can play with the branches of the Ivy by threading them through frames. After a couple of days the leaves will be in the right position and they will have formed a beautiful leaf shape. 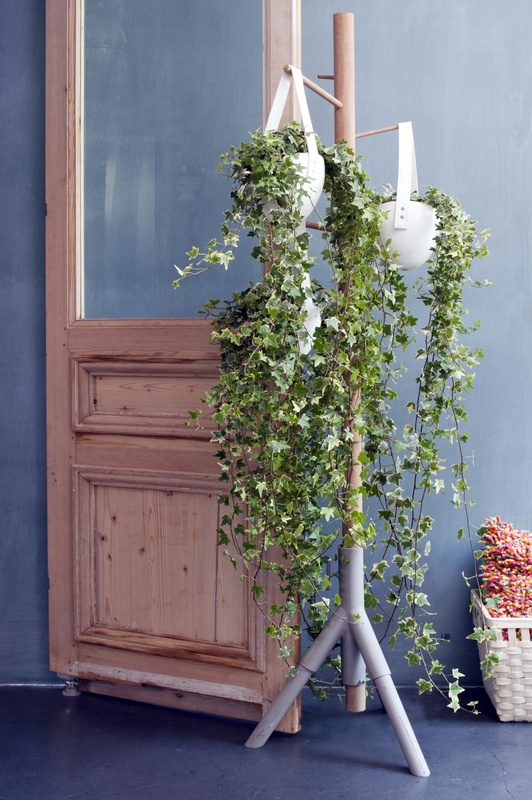 The current trend: use the Ivy in a natural way as a hanging plant in a rough wooden planter, or in a shiny copper coloured pot. 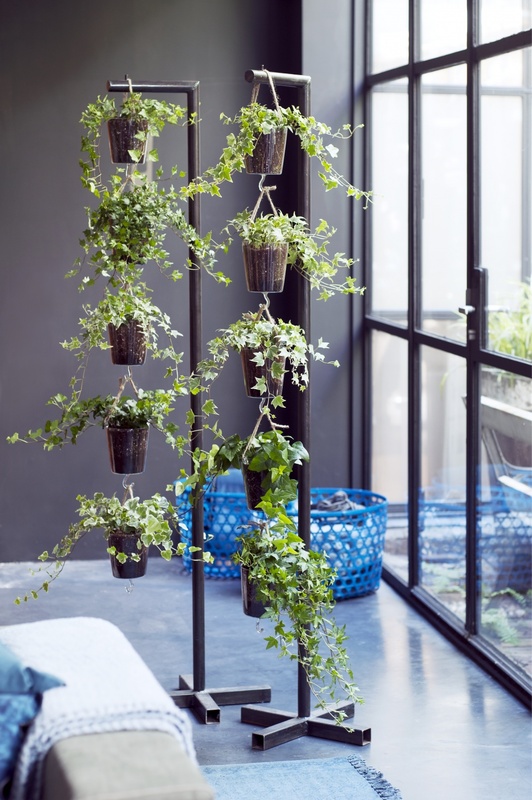 The downloaded posters may only be used in the framework of the Houseplant of the Month campaign, which is partially funded by the European Union. The original downloaded posters may not be changed and no company or brand names may be added.